We met this Tasmanian Devil at Australia Zoo on the sunshine coast in Queensland. They are Australia‘s largest living carnivorous marsupial. Scientists have been calling for them to be reintroduced to the mainland however they will find that cats and foxes now dominate their space in the food chain. They are also very unlucky in that they are susceptible to an infectious cancer. 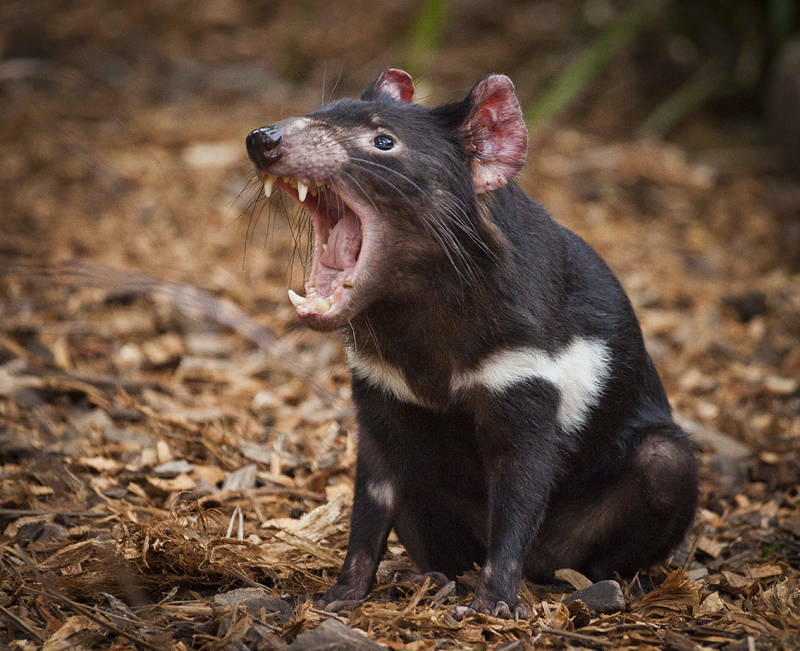 It is rare to catch cancer from another but in parts of Tasmania the cancer is endemic and not very nice. Having isolated zoo populations should help combat the disease.